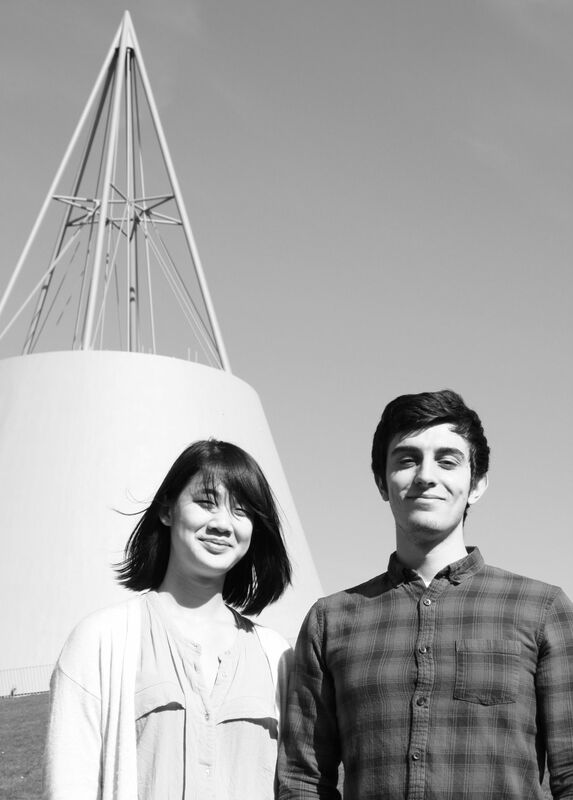 Isabell Trinh and Guillermo Serena Ruiz both participated in the highly successful 2017 TU Delft iGEM team. iGEM or the International Genetically Engineered Machine competition during which student teams create a biological system. Their team took home the grand prize for over graduate students as well as eight other prizes at the finals in Boston. 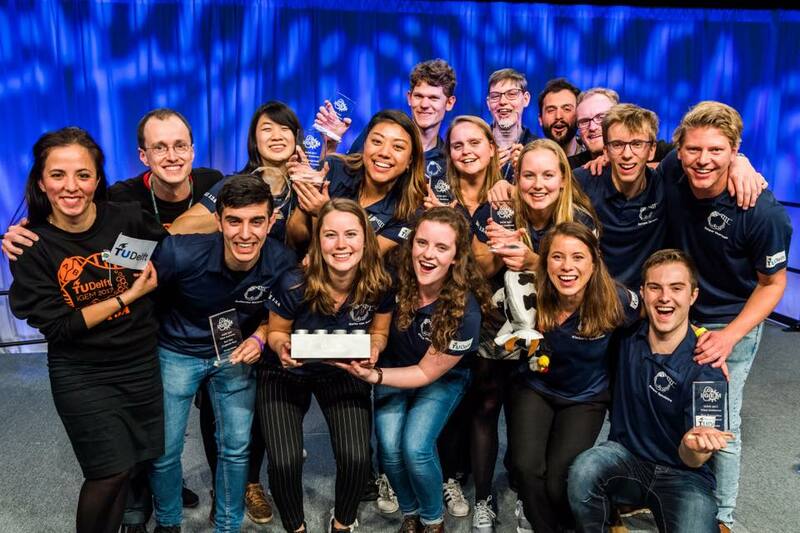 The 2017 team was the most successful in TU Delft’s history. Trinh, originally from Germany, got her bachelor's degree in nanoscience at the University of Hamburg where she wanted to participate in their iGEM team. “The team there was only open to master’s students, so I couldn’t be part of it,” said Trinh. While Serena learned of iGEM while obtaining his bachelor’s degree at the Polytechnic University of Valencia in his home country of Spain. While his bachelor’s degree was in chemical engineering and he was pursuing a master’s in the same field, he’d always wanted to study biology and saw the iGEM team has his chance to get more involved. The project focused on the growing problem of antibiotic resistance. According to Trinh and Serena, farmers treating their cows for mastitis, an infection of the udder, start with a broad-spectrum antibiotic and only if that proves unsuccessful, do they do further testing to determine which antibiotic is most suitable. Testing of this sort is currently done off site, making it time consuming and expensive. The team built on existing work in biology which relies on CRISPR-Cas technology. Some of these so-called Cas proteins are able to search for specific RNA. Using that and an existing body of research into genes which are responsible for antibiotic resistance, the team was able to develop a system that could detect resistance in the bacteria. As there is a lot of overlap in these genes, the team also developed a software programme that could identify the regions of resistance to help farmers best determine which antibiotic to use. Then they wanted to ensure their product would last long enough in the field. They looked towards nature and found tardigrades, micro-animals which can survive even the extreme conditions of outer space. Using a protein from these creatures, they were able to ensure their device has a stable shelf life. “We thought we’d win something but we had no idea we would win as many prizes as we did,” says Serena. The judges were impressed with the team’s ability to connect their competition submission to a real world problem. “We really wanted to focus on what the stakeholders wanted,” said Serena. Both Trinh and Serena found that working in a team was a rewarding experience. “There were really good group dynamics and we kept each other motivated,” said Trinh. But the group dynamic wasn’t always picturesque. The brainstorm session was “long and painful” according to both of them. “After a lot of discussion, we narrowed our ideas down and then ultimately we went with something totally different,” said Serena. Trinh managed to get in a long vacation after the finals, along with several of her team members, while Serena had to return to TU Delft to work on his graduation project. They are both unsure of what they plan to do when they finish their theses but they both think that the experience with iGEM was good for them professionally and personally. “You really learn a lot about yourself working on something like this,” said Serena.